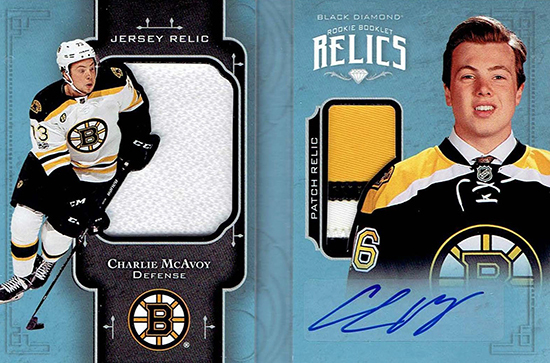 The Boston Bruins have a long and storied tradition which features some of the greatest defensemen in NHL history. From the days of tough-as-nails Eddie Shore to the exciting and revolutionary Bobby Orr and the iconic Raymond Bourque to the gigantic Zdeno Chara; fans in Beantown have always appreciated someone whose game is rooted in defensive fundamentals. 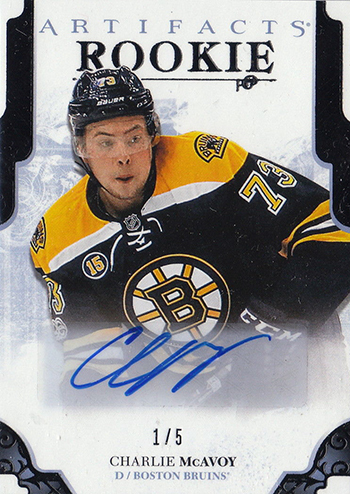 Charlie McAvoy is making a lot of noise this season for the Boston Bruins. 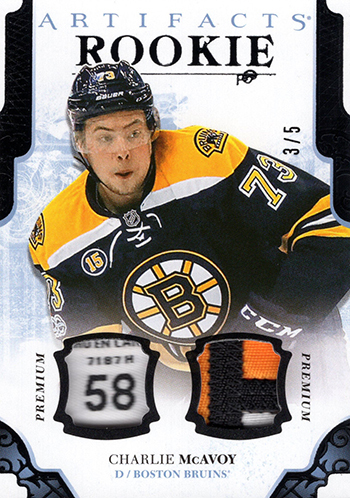 McAvoy opened the 2017-18 season in a thrilling manner as he helped Boston to a big 4-3 victory over the Stanley Cup finalists, the Nashville Predators. He assisted on the night’s opening tally and later scored his first career goal at the 15:43 mark of the second period. It was a big night for Bruins freshmen as Jake DeBrusk and Anders Bjork also recorded their first NHL points. 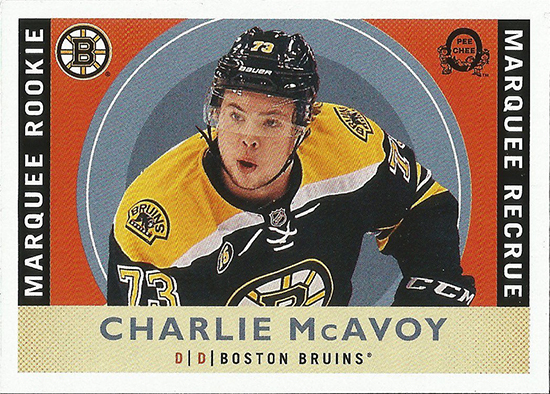 Over a four-game span earlier this season, McAvoy racked up five assists and two of them came during a tough overtime loss to the Buffalo Sabres on October 21. He ranks among the rookie scoring leaders and is also spending an impressive amount of minutes on the ice. He cracked the 29:00 mark in back-to-back games that went into overtime. During Boston’s first victory over the expansion Vegas Golden Knights on November 2, McAvoy also provided a physical presence on the ice and was credited with seven hits. After enduring a rough pointless streak, McAvoy helped pave the way for a Boston victory over the hot Los Angeles Kings on November 16 thanks to a beautiful goal where he walked in and flipped the puck past Jonathan Quick. Two nights later, he assisted on DeBrusk’s game-winning tally against the San Jose Sharks. 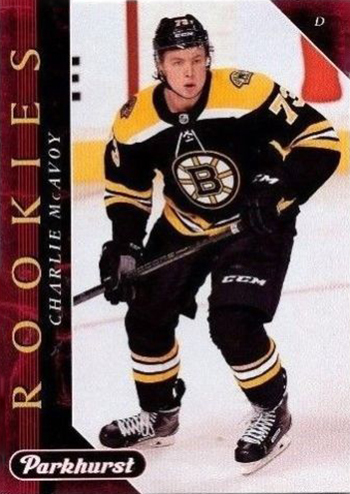 A budding star at the age of 15, McAvoy graduated from the New Jersey Rockets junior club and joined the United States National Team Development Program in 2013-14. Over two seasons there, he honed his playmaking skills and also won gold at the IIHF’s tournaments from U-17 and U-18 players. 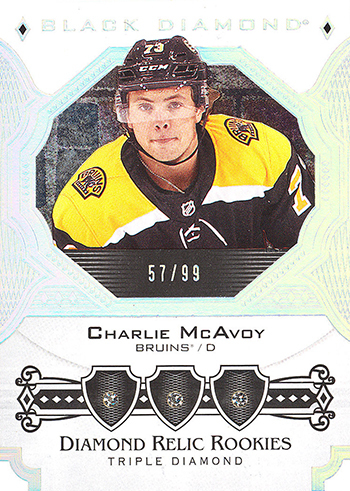 In 2015-16, McAvoy made the jump to the college ranks and was a member of the Hockey East All-Rookie Team following an impressive 22 assists and 25 points from the back end as a freshman with Boston University. If that was not enough to impress scouts heading into the 2016 NHL Entry Draft, he also won a bronze medal at the 2016 IIHF World Junior Championship. 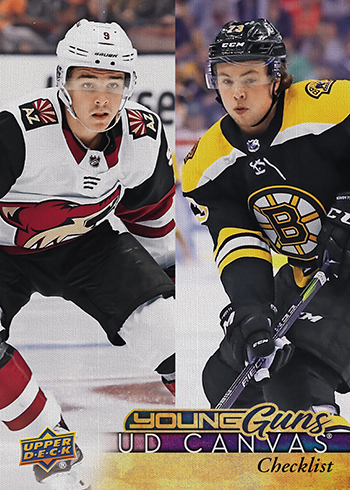 With the 14th overall pick in 2016, the Boston Bruins did not look far from home and did not hesitate to select a promising talent with a local connection. McAvoy went back to college for one more season, and it was an excellent decision as he managed to earn First Team All-American honors thanks to another big offensive campaign for the Terriers. At the 2017 IIHF World Junior Championship, McAvoy provided the United States with plenty of leadership and offense on the way to a gold medal finish. He was named to the tournament’s All-Star Team, but also was recognized as top player in the deciding game where the American squad defeated their heated rivals from Canada. 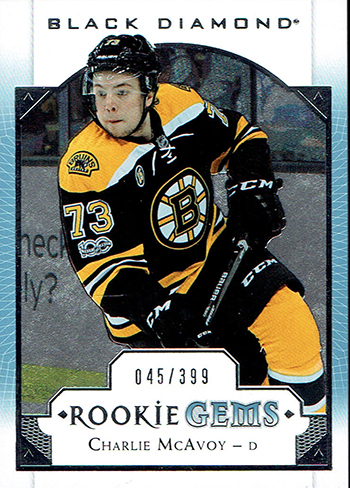 After finishing up at Boston U, McAvoy inked his first pro deal with the Bruins and got a quick chance to play at the AHL level with Providence. 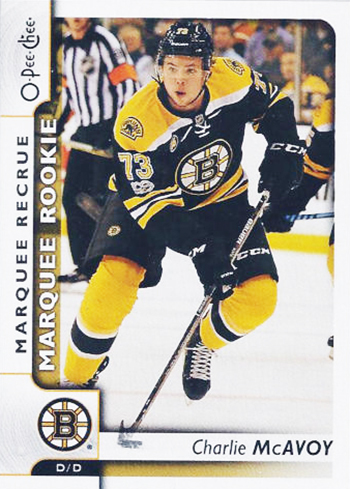 He recorded an assist in each of his first two outings and after four games, he was called up to make his NHL debut during the opener of the first round playoff battle with the Ottawa Senators on April 12. After that game, he received some positive praise from a Bruins legend that happens to represent him – Bobby Orr. 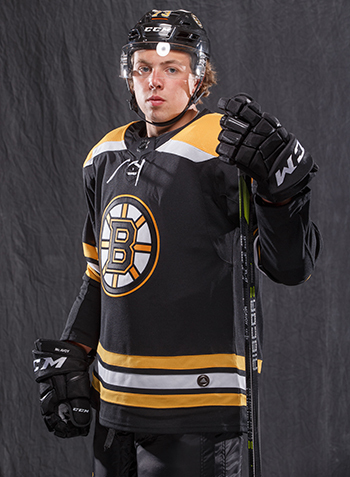 McAvoy made an immediate impression with Bruins fans and chipped in three assists in six playoff games last season, the first coming during Game 3 in Boston. One of those other helpers was truly a memorable one as he fired the puck toward the Ottawa net in double overtime in Game 5 and it was tipped in by Sean Kuraly. At the 2017 NHLPA Rookie Showcase, he described the feeling of being part of an overtime winner as “surreal” and ranked the game as one of the longest he has ever played. The 19-year-old native of Long Beach, New York collected hockey cards when he was younger and his favorite player to pull from packs was Hockey Hall-of-Fame defender, and one-time Bruin; Brian Leetch. He has met his idol on a few occasions as well. 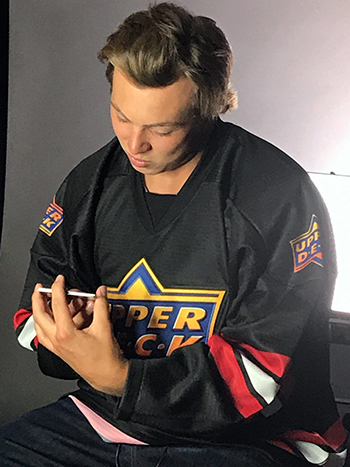 Charlie enjoyed checking out new Upper Deck cards at the NHLPA Rookie Showcase! 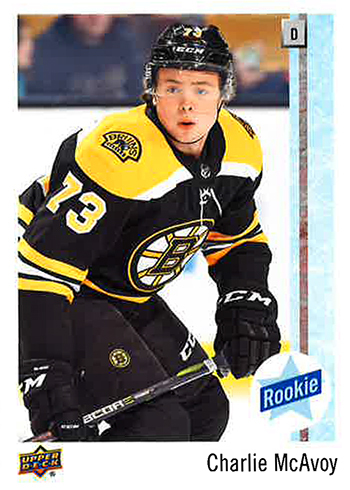 At the 2017 NHLPA Rookie Showcase, McAvoy shared a nice autograph card he pulled of a teammate and made a fun confession. 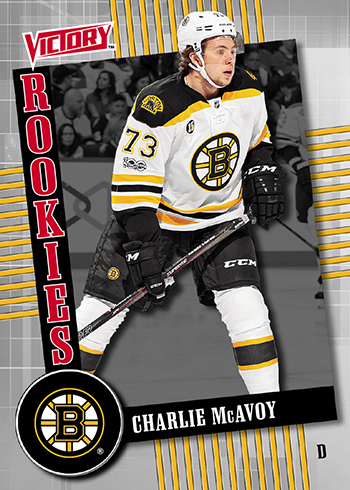 Luckily for McAvoy’s fans, he was part of the exciting carryover rookie card class that has been a major part of Upper Deck’s early 2017-18 releases. 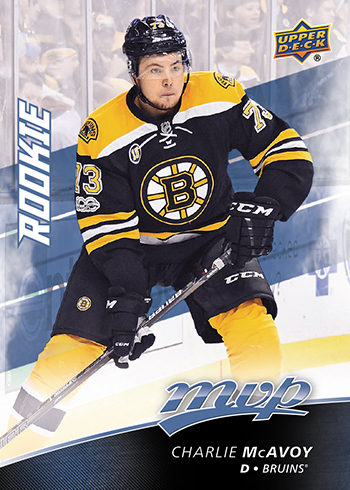 The first of them came in packs of 2017-18 Upper Deck MVP and it has several parallel versions – some of which can be found via Upper Deck e-Pack. 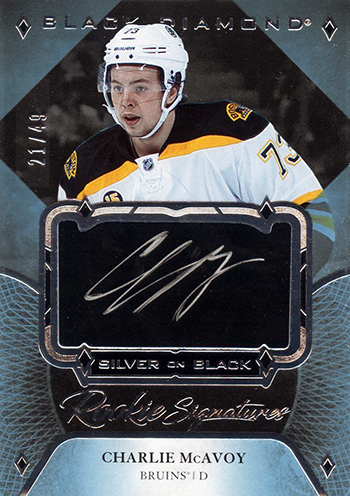 There were some more to track down in O-Pee-Chee and Artifacts – the latter product having his first autograph and memorabilia cards along with an Aurum insert which is part of the latest Upper Deck Bounty program. Only a limited amount of these white Aurum cards are available through the Upper Deck Bounty program. 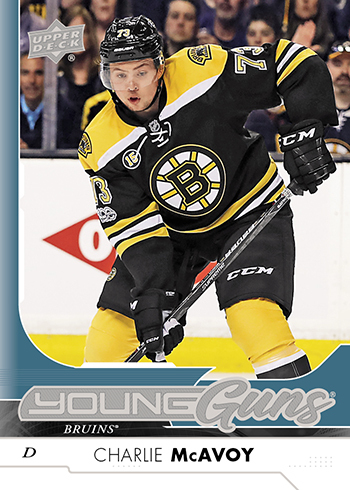 With the upcoming arrival of 2017-18 Upper Deck Series One, collectors are going to be racing to grab his Young Guns rookie card as well, but there is also a UD Canvas Young Guns card to find along with the Canvas Young Guns Checklist which features McAvoy alongside fellow freshman Clayton Keller of the Arizona Coyotes. As the season continues, there will be plenty of other cards of “Big Mac” to collect in Upper Deck products – but the time to start chasing him is now. Parkhurst is a great product at a wallet-friendly price-point. 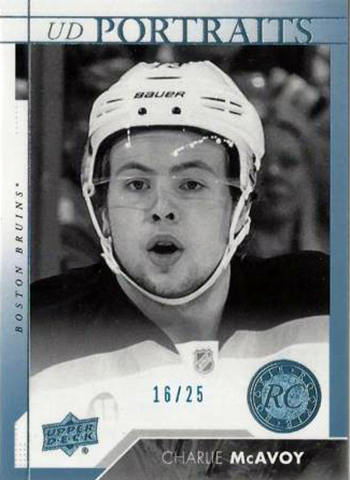 Upper Deck produced a special Customer Care promotional set that McAvoy is featured in. 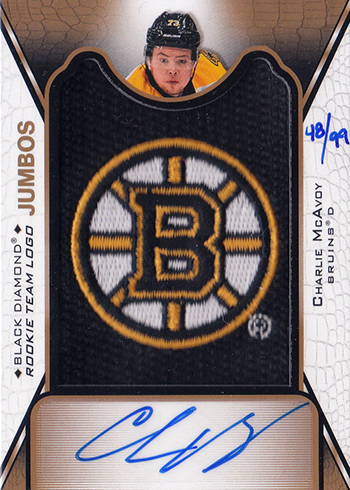 Black Diamond is the first super-premium release of the year with McAvoy content. 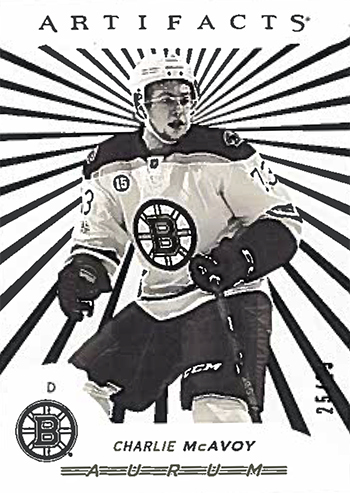 Bought a ton of MVP this season from EPack and pulled a McAvoy #/25 !